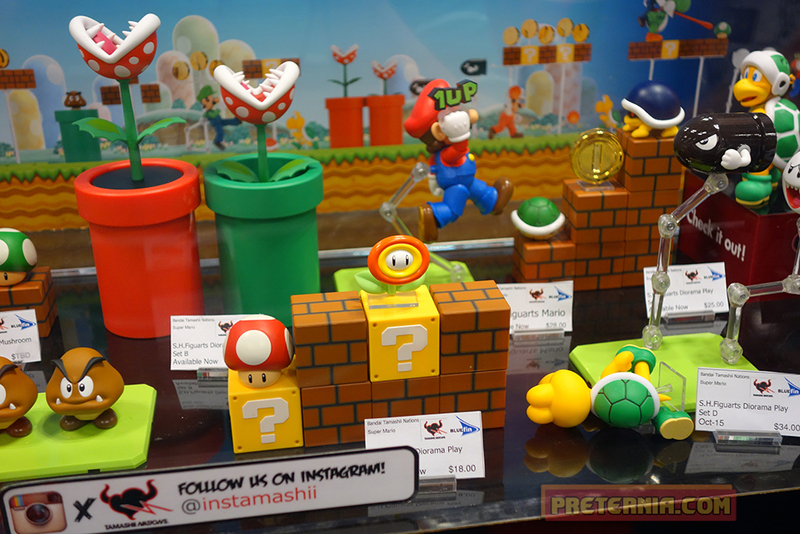 Posted by Jon in Nintendo, NYCC 2015, S.H. Figuarts with 1 comment. Yes, it’s now a couple weeks out from New York Comic Convention. But I took all these pictures and it would be a huge waste not to post them up! The Super Mario Brothers S.H. Figuarts line is an interesting one for me. 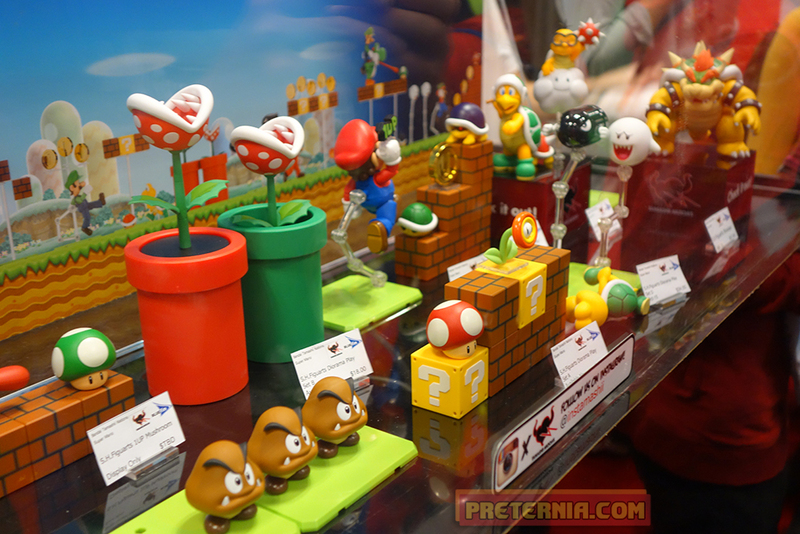 I excitedly bought the initial Mario figure and was a little disappointed with it. I didn’t get rid of it though, instead I just stuck it on my desk off to the side. As the year went by my son would often want to play with it, and when he was done I would tinker around with the figure as well. I ended up loving the thing. So I picked up Luigi and Yoshi on the cheap, and then before long I was preordering the fire mushroom Mario. This line was pretty lackluster to me at first, but I’ll be damned it grew on me over time. I’m glad that Mario was so cheap that I felt no incentive to sell him off! 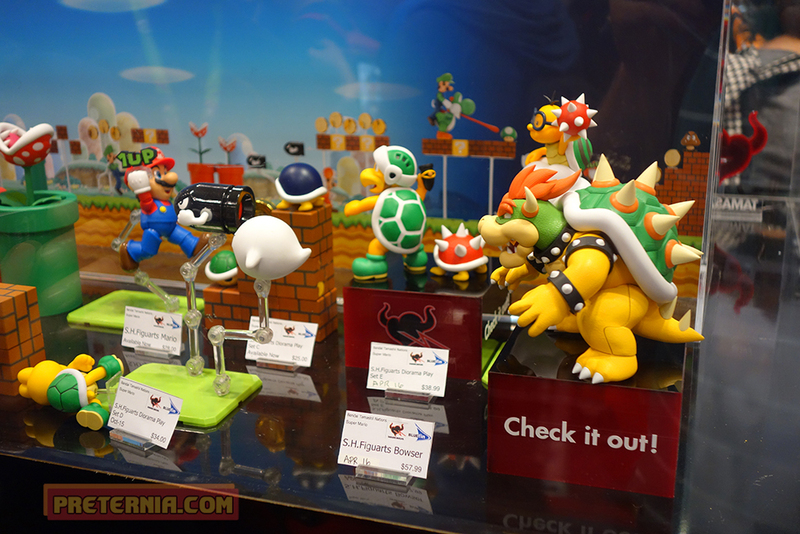 At the Bluefin booth, they had the latest Super Mario Brothers figures: Bowser and Diorama Set E. The diorama set includes a Hammer Brother, Lakitu, and Spiny. The diorama set is a complete home run … except for maybe the price increase. It’s currently trending at about $40 – $45 which is quite a jump from the previous sets. Bowser is interesting. The scale is accurate to the original Super Mario Brothers game. Mario is actually taller than Bowser. I know there has been a hell of a lot of Mario games since then, and Bowser has been all different sizes. The size I don’t really have a problem with. However, like the diorama set the price has seen a substantial hike. 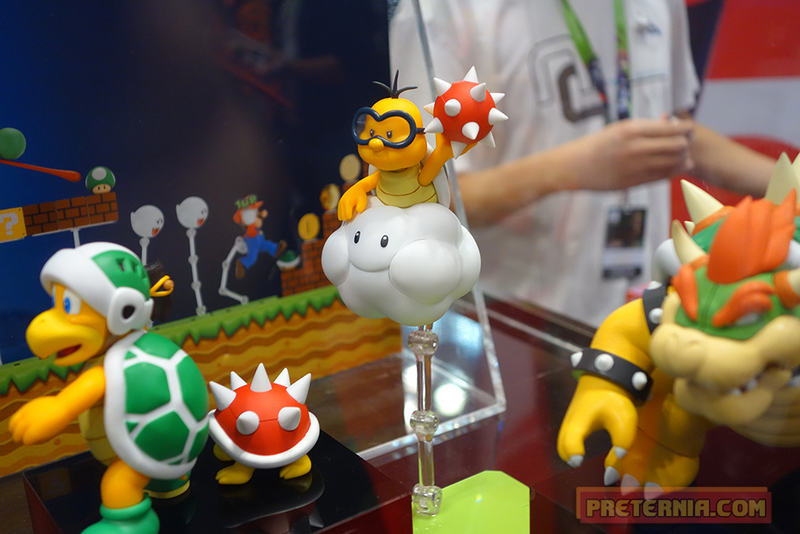 On top of that it appears as if they have scaled down Bowser’s articulation tremendously. He has a lot of curves but not too many joints. He looks fabulous but I think the price and the scale are going to be a polarizing issue with this figure. 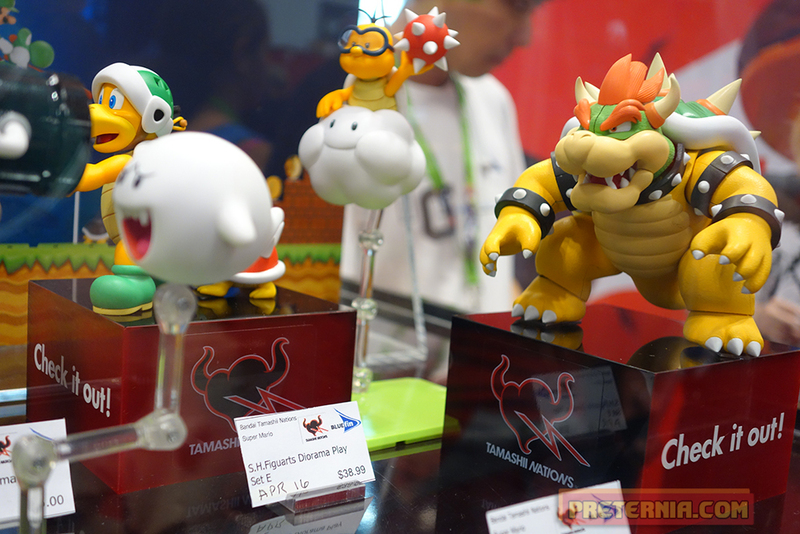 The “World of Nintendo” Bowser by Jakks Pacific could be a good alternative option for fans of the larger look. Unfortunately that figure is now out of circulation and goes for about double its original retail. If you are looking to catch up on the S.H. Figuarts Mario line, Amazon actually has some great deals on the older releases. You should really check it out!